A West Yorkshire cop who thinks he’s Jack Reacher—an opinion evidently shared by all the people who’ve improbably heard of him—returns from a stint as a private inquiry agent after being booted off the force (Dead or Alive, 2016) to another perfect storm of homicides. Charlie Santiago’s meteoric career as the moneyed head of Santiago TechSys ends when, like a meteor, he falls to the earth outside his office window. Did he have help from nonastral forces? That’s exactly the question Sandra Boswell doesn’t ask DI Septimus Black. In an arrangement that’s got to be unusual for a member of any police force under the sun, she offers Sep 50,000 pounds to investigate the much more clear-cut murder of her husband, freelance journalist James Boswell, whose pursuit of his latest story took him to the disreputable Grimshawe Hotel and the man who beat him to death. James may well have been killed for strictly personal reasons, like his affair with his married co-worker Julie Rogerson, but the smothering of ancient Grimshawe desk clerk Agnes McGinty helps persuade Sep that his death is tied to that of Charlie Santiago. As Sep hunts for hard evidence, crime boss Carl Redman, not one to let the grass grow under his feet, hires Stanley Butterbowl, who for obvious reasons prefers to be known as Mr. Wolf, to stop his investigation in its tracks. Sep is targeted by a hit-and-run driver, then, when he refuses to die, stalked in the North Leeds house he shares with his fiancee, secondhand clothing merchant Winnie O’Toole, to which the hospital releases him. A bomb planted in his Jaguar incinerates the car. Redman’s thugs lay siege to the remote cottage to which Charlie retreats, then ambush and shoot him. As he lies helpless from a leg wound, he’s bitten by a Rottweiler. But he emerges from each of these crippling reversals with all the evergreen panache of Wile E. Coyote, though a number of supporting characters are less fortunate. 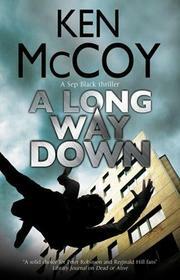 Perfect reading for anyone who wishes Midlands procedurals were plotted and paced more like Hollywood action films.